Neurons within the rostral ventrolateral medulla (RVLM) play a pivotal role in the tonic and phasic control of blood pressure. This region also contains a high density of angiotensin II type 1 (AT1) receptors. 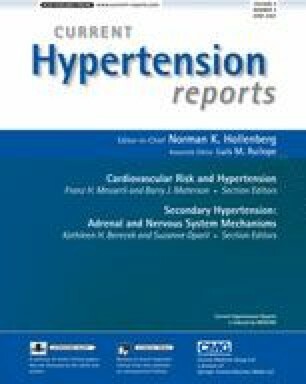 There is evidence that tonic activation of AT1 receptors in the RVLM contributes to an increased sympathetic vasomotor activity in some models of hypertension. At the same time, under certain conditions, activation of AT1 receptors in the RVLM can cause sympathoinhibition. In this review we argue that the effect of endogenous angiotensin II in the RVLM on sympathetic vasomotor activity depends upon the balance between tonic excitatory and inhibitory effects on sympathetic premotor neurons mediated by AT1 receptors within this region, and that this balance may be altered in different physiological or pathophysiological conditions.